This week I’m going to be mixing up a drink I’ve had on my mental list for a long time, the Rusty Nail. I’m a huge fan of scotch. Well, more correctly whiskey in general. Drambuie on the other hand, I have no idea what to expect. I’ve never tried it and actually haven’t even looked it up to see what the flavor is. Should be a great experience! For this recipe, Regan recommends experimenting with the choice of scotch to change the flavor profile of the cocktail. Since I’ve got a reasonable selection of scotch this will be a very fun week. Life changing might be a bit of an overstatement, but this cocktail definitely changed the way I look at Benedictine and dry vermouth. As I began sipping my first Chrysanthemum and taking notes, as I always do, I wrote this down. “Four sips in and this drink is already one of my favorites.” At the end of the week, having increased that number of sips quite dramatically, my sentiment remains. This drink is good, really good in fact. As you bring the drink to your mouth you’re first going to notice the fresh citrus aroma that the orange twist offers. On that note, the twist is absolutely essential. Without it you’ll lose a layer of complexity that I think this drink deserves. I say that because the other two main ingredients are deeply complex unto themselves. I offered some thoughts on benedictine earlier in the week and I discussed dry vermouth a while back. Although, having said that, I don’t think I really appreciated either of them until I took my first, and subsequent, sips of this drink. Their complexity is deep and hugely pleasing. While on it’s own I find Benedictine to be a little too sweet, when tempered with the vermouth the sweetness is perfect. Similarly, I wouldn’t usually drink a glass of dry vermouth on its own. Though, mixed in this cocktail the vermouth offers its complexity and funkiness in a way that I find very pleasing. While I doubt I need to mention this to anyone reading this blog, I will anyway. Please go with a good dry vermouth. No sense in ruining good Benedictine with crappy vermouth. Finally, on top of these base flavors you’re adding a hint of citrus from the orange zest. Which, again, is very much essential to the final flavor profile. Same goes for absinthe. While you’re only adding a small amount the flavor melds well with the others to increase the complexity even further. Keep the amount of absinthe small, too. Somewhere between 3 dashes and 1/8 oz depending on your preference. I go with 1/8 oz. This drink is definitely one to mix up for yourself. And, to compound that, I’d ask that if you’ve never much like dry vermouth that you give this mix a try. I think you’ll find yourself pleasantly surprised with your new found respect. I mentioned in the intro that this week’s cocktail, and more specifically its ingredients, are old school. 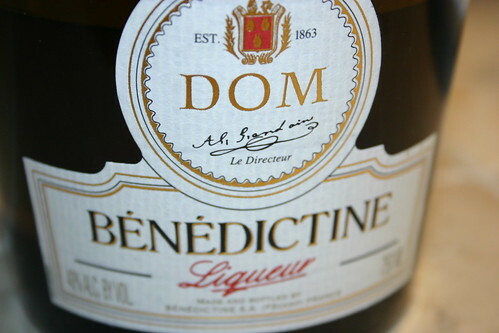 In fact, very few are more old school than Benedictine. This year the herbal liqueur celebrates its 500th anniversary! 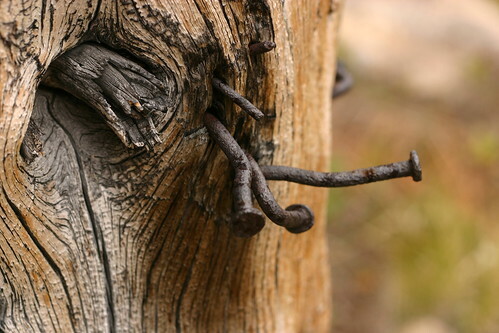 The liqueur was first developed by monks in 1510. Their production of the herbal spirit progressed for over 250 years until the recipe was tragically thought lost in the 1791 during the French Revolution. As luck would have it, the recipe had been written down in a book that was then sold to a local art collector. The recipe remained lost, however, until it was rediscovered in 1863 by Alexandre Le Grand. Alexandre recognized the quality of the recipe and finally relaunched the liqueur as a commercial product in 1873. The company he created has been making the spirit ever since. But, what is it? What’s it like? I had the very same questions until fairly recently. Like most people I’d heard about the liqueur or its namesake cocktail the B&B (Benedictine and Brandy, for which the company has released another product), but I’d never tried it. The flavor is likely unlike anything you’ve ever had before. Like the first time you taste Chartreuse, your first sip of Benedictine is an intriguing one as the flavors expand and develop. The aroma is like that of a really fresh herb garden. I pick up notes of sage, rosemary, juniper all very crisp and fresh. The liqueur is more viscous than I expected given it’s 40% ABV. You really don’t notice the high alcohol in the flavor though. It’s well covered by the sweetness and herbal qualities. The flavor of the herbs is more well blended in the flavor than I found in the aroma. I don’t get any one specific herb coming through stronger than any others. The flavor profile as a whole is really complex and fantastic. While I don’t think it’s something I’d drink straight (it’s quite sweet), in cocktails like the Chrysanthemum or the Monkey Gland it adds a depth of flavor that I don’t think can be achieved any other way. If you’ve never tried Benedictine you really owe it to yourself to pick some up and mix up a drink. You’ll appreciate the results. 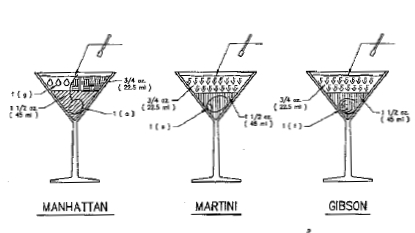 As I was sifting through my RSS feeds this morning I stumbled upon these engineering drawings of cocktails. They’re very well done and quite geeky. Or, put more succinctly, awesome. In reading through the comments on Nathan’s post, it seems that this was originally a full color poster. If anyone knows where I can purchase one, please let me know. I’d love to add it to my collection of cocktail ephemera. 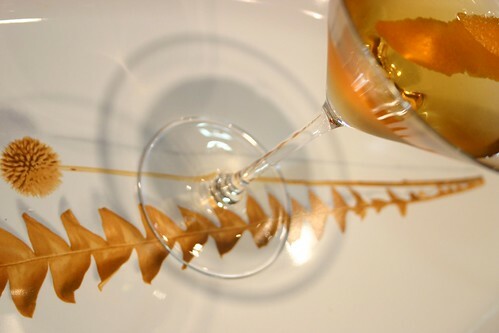 This week I’m going old school again and pulling a recipe from the pages of the The Savoy Cocktail Book , the Chrysanthemum cocktail. In addition to the recipe the ingredients for this cocktail are old school as well. Benedictine, for example, has been around for 500 years this year. More on that later this week. The Savoy notes that the Chrysanthemum is “well-known and very popular in the American Bar of the S.S. Europa.” The SS Europa also has an interesting history that’s worth noting. The Europa was initially built as an ocean liner to make the transatlantic crossing. Shortly after being put in to service it took the Blue Riband, becoming the fastest passenger liner making the crossing at the time, a title it would keep for over three years. With the liner’s speed the Norddeutsche Lloyd company was able to offer a weekly transatlantic trip with only a pair of ships. There are some other cool bits that you can read about at the Wikipedia link above. My favorite is that the Europa had a sea plane that launched by catapult from the upper deck. Okay, cocktail time! *For reasons unknown to me, most of the Savoy recipes call for shaking. However, since this recipe includes no cloudy ingredients I’ll be stirring it instead.